Our plans for Saturday were snowed out, so naturally that was the perfect excuse to make cinnamon rolls. The only problem was I didn’t have any milk for the dough. What I did have, and what I always try to keep around, is a can of Saco Powdered Buttermilk. In this case it saved the day because I was able to make some pretty good cinnamon rolls. Here’s the recipe exactly as I made it. If you don’t have buttermilk powder and need to use buttermilk instead, just use ¾ cup of buttermilk and add 2 tablespoons of water or as needed. 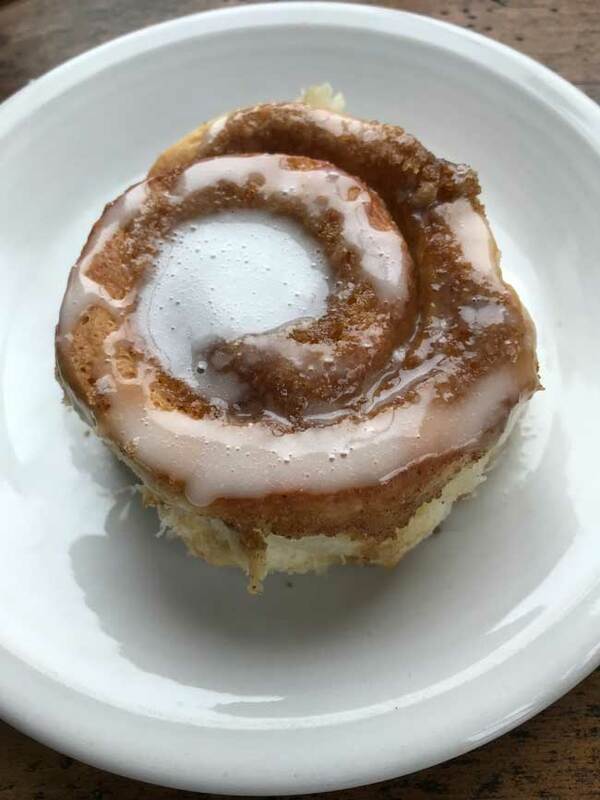 Saco Powdered Buttermilk works perfectly in these cinnamon rolls. Powdered buttermilk is a good ingredient to keep on hand for when you are out of milk. In the bowl of a stand mixer, combine the flour, salt, baking soda, rapid rise yeast, buttermilk powder and sugar. Add 3/4 cup very hot tap water and stir until mixed, then add the oil and stir. At this point dough should still be a little dry, so add 2 tablespoons more hot water. Attach dough hook to the mixer and let the mixer knead the dough for about 8 minutes or until smooth and elastic. Cover bowl and let sit for 30 minutes. Meanwhile, stir together butter, brown sugar and cinnamon. 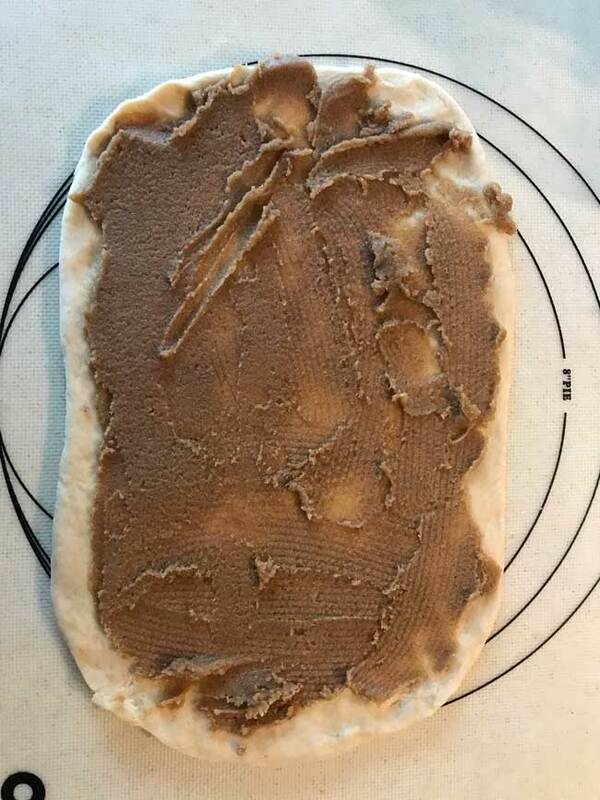 On a pastry mat (or a lightly floured surface), roll the dough into a rectangle about 9x14. Note: If you are using a pastry mat, you may not need any extra flour because the dough is so pliable and easy to work with. So use flour only if needed. Spread the brown sugar mixture over the rectangle. Starting with a short side, roll into a cylinder. Slice into 8 pieces and place cut side up in a generously buttered 9 inch round cake pan. Cover loosely with a greased piece of foil and let rise for about 30 minutes. Bake in preheated oven for 25 minutes to 30 minutes or until golden brown. Remove from oven and let cool slightly while you make the icing. To do this, put a cup of confectioners' sugar in a 2 cup Pyrex measuring cup or a bowl. Add 2 tablespoons of the milk and the vanilla and stir well, then continue adding milk 1 tablespoon at a time, stirring until smooth. Pour or drizzle over rolls. Kathy, thanks for letting me know that your dough was easy to work with as well. Hope you like the finished rolls! This is a really interesting recipe. It’s quick to put together and just the right size. I didn’t have buttermilk, either liquid or powdered, so I used milk and added a little vinegar, along with a bit more water. As you said, the dough was very easy to work with. The rolls are in the oven now and looking beautiful! This is the recipe I used. No potato flakes. I think you could sub powdered buttermilk just like you did here. I was going to make the KA ones but didn’t have milk or potato flakes. 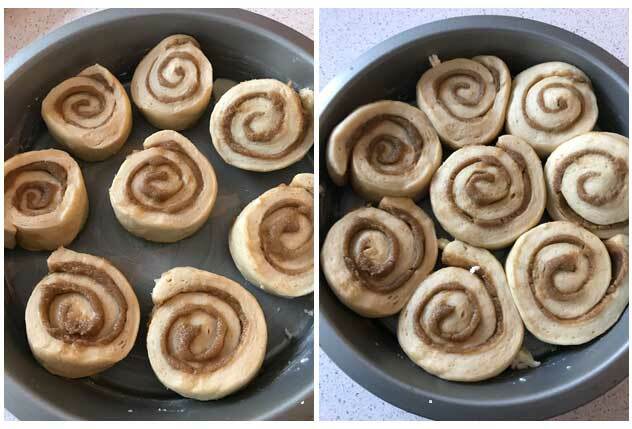 I recently made the King Arthur Cinnamon Rolls using the Tangzhong method. We were happy with the results. What I like about yours is that they look perfectly fluffy.